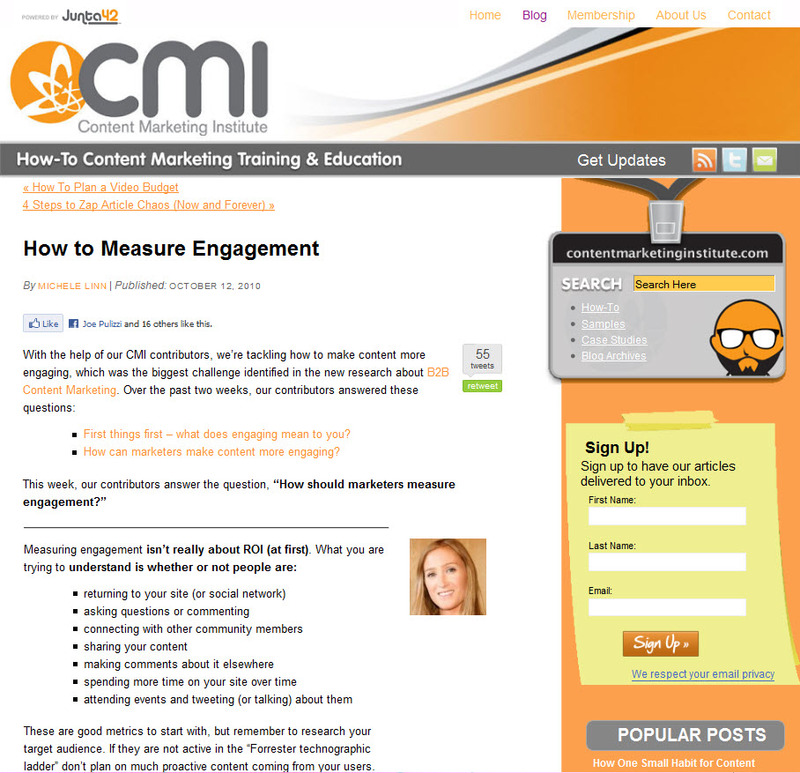 The Content Marketing Institute series on engaging content marketing continues with How To Measure Engagement. Previous posts included What Does Engaging Content Mean to You? and 10 Ways to Make Content More Engaging. CB Whittemore (@cbwhittemore) -- me! 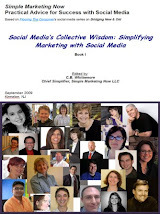 Notice how many responses urge looking beyond the data to take into account the human factor. Although how you measure engagement will depend on your business goals, I believe that it’s critically important to remember that quality matters far more than quantity. The online world offers all kinds of measures: visits, page views, subscribers, comments, etc. So many in fact that you can lose sight of the bigger picture by focusing too much on the details. The bigger picture takes into account that you are looking to interact and engage with people, not data. Although the data offers perspective and insight on people and what they engage with, it is still data and doesn’t fully capture the human aspects of engagement. For example, depending on your audience, you may find your content generates more offline interaction. Or perhaps intense email exchanges. After two years writing a blog focused on the sights, sounds, history and community of my local neighborhood, word-of-mouth has led to two to three emails per month filled with personal stories and anecdotes – and photos. Those exchanges are poorly captured in data, but they are powerful signs of intense engagement with an audience more comfortable with traditional forms of interaction [e.g., email] rather than blog comments. Look for signs, both online and offline, that allow you to appreciate quality rather than than quantity and gain context for the engagement you’ve created. You’re much better off with fewer well-qualified visitors who are eager to consume your content – because it’s relevant to them – than with an army of readers bouncing off your [to them] irrelevant content. That way you can fine tune your content, strengthen the engaging qualities and possibly even capture more quantity! 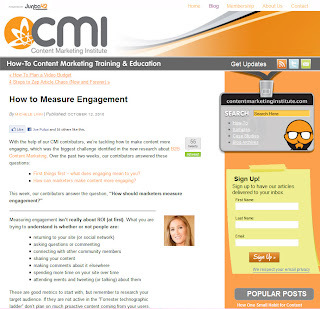 What's your take on how you should be measuring engagement? I'd love to hear your response! Which Tools Help You Measure Engagement? What Does Engaging Content Mean to You?